Managing your personal finance has never been that easy. Budget Express is a specialized software for keeping track of your personal and family finances. 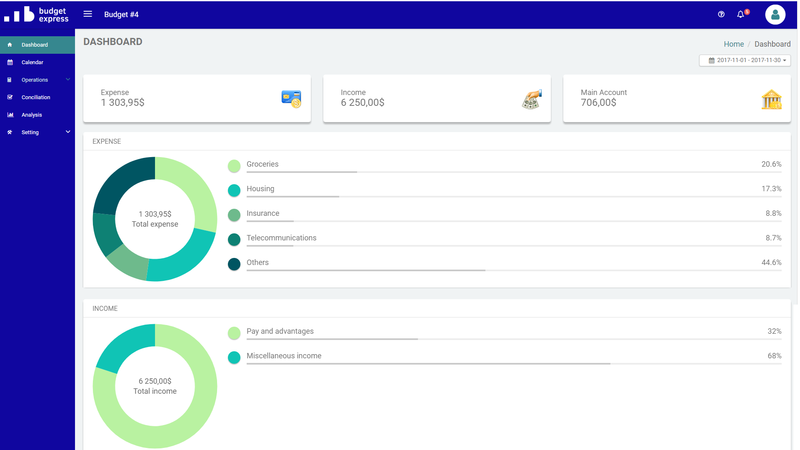 In less than 20 minutes, Budget Express helps you prepare your customized budget through a simple, modern and intuitive interface. 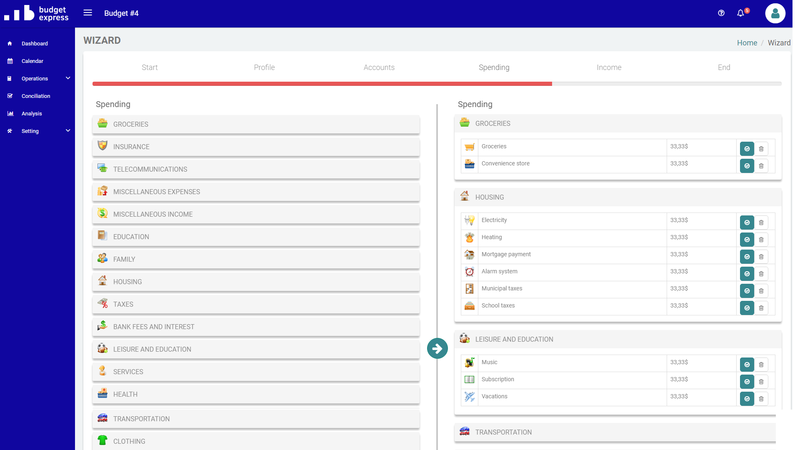 The Budget Creation Wizard helps you set up your personal budget in less than 20 minutes. Choose between hundreds of income and expense categories. 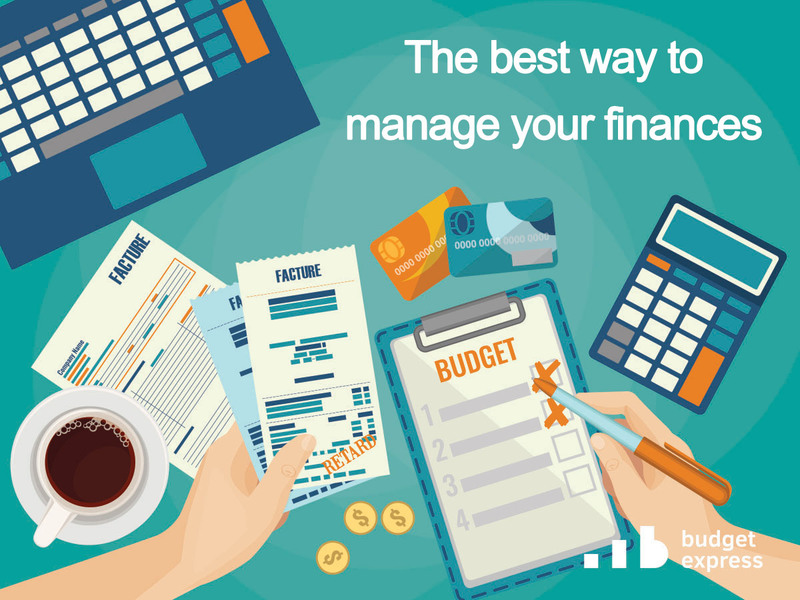 Budget Express lets you prepare your budget at your own pace. Budget Express monthly calendar shows the month’s operations at a glance. 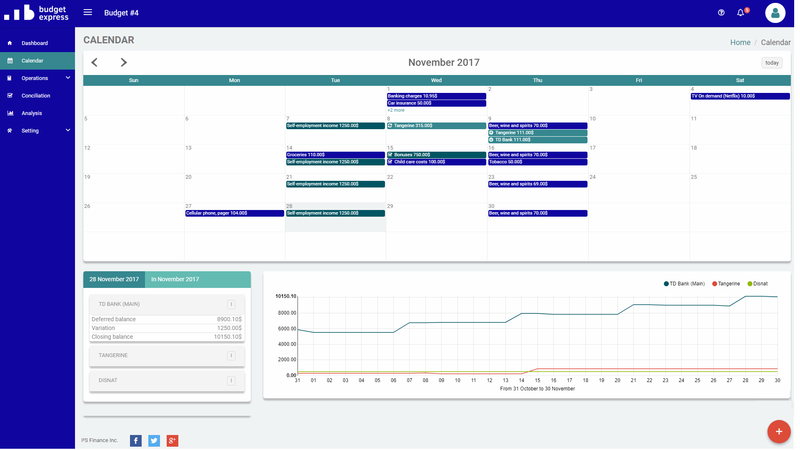 Using its user-friendly navigation commands, add and modify operations directly from the calendar. Keep an eye on your account balances right in the calendar. Thus you no longer need to toggle from page to page or update a spreadsheet. Budget Express strength lies in its powerful data analysis capacities. Its flexible work environment allows you to define your own data analysis report models. 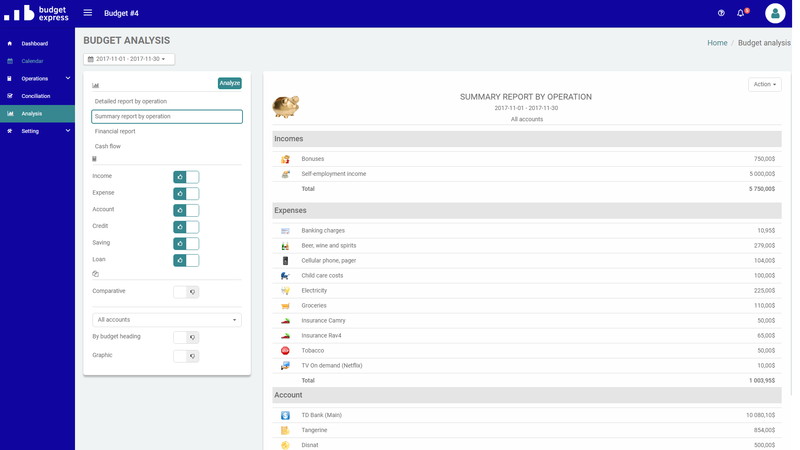 Run summary or detailed analysis of your operations, bank accounts, credit card, investment operations, etc. Need to generate a report of your analyses for you or your banker? Budget Express is ready. Simply and securely import your bank account and credit card statements using a gateway system. You don’t need to enter your bank account and credit-card numbers or passwords in Budget Express. Import your reconciliation bank account or credit card files. 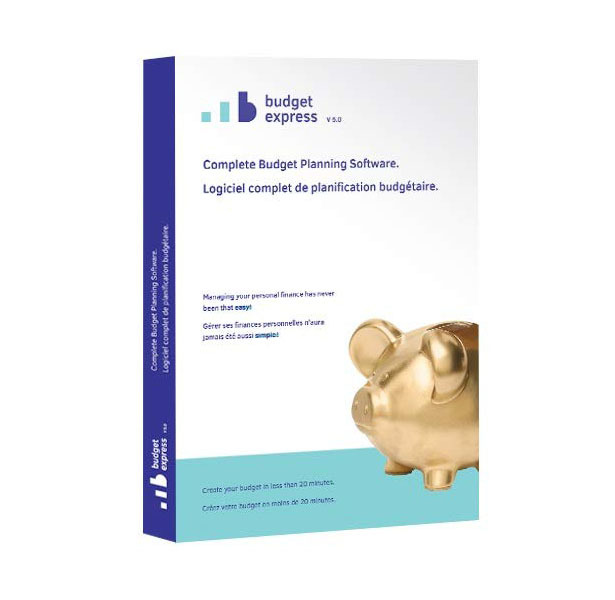 Budget Express can process Quicken (QFX), Open Financial Exchange/Microsoft Money (OFX) or Excel (CSV) formats. Automatically reconcile your revenues and expenses with what you had planned or create new transactions accordingly. Budget Express lets you manage your bank, brokerage, shares, RRSPs, TFSAs,RRIFs investments. Budget Express’ powerful data analysis capacities will give you a clear picture of your situation, let you assess returns and display/print the detail of your investment operations. Budget Express helps keep track of loans. Use its user-friendly analysis features to better control your goals. 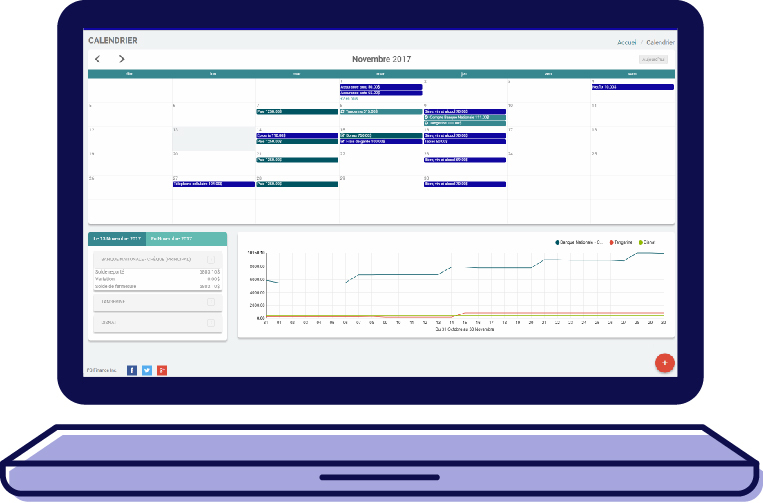 Budget Express’ powerful data analysis capacities will give you a clear picture of your equities and display/print the detail of your loan operations.